Celtis laevigata is a medium-sized tree native to North America. Common names include Sugarberry, Southern Hackberry, or in the southern U.S. Sugar Hackberry or just Hackberry. 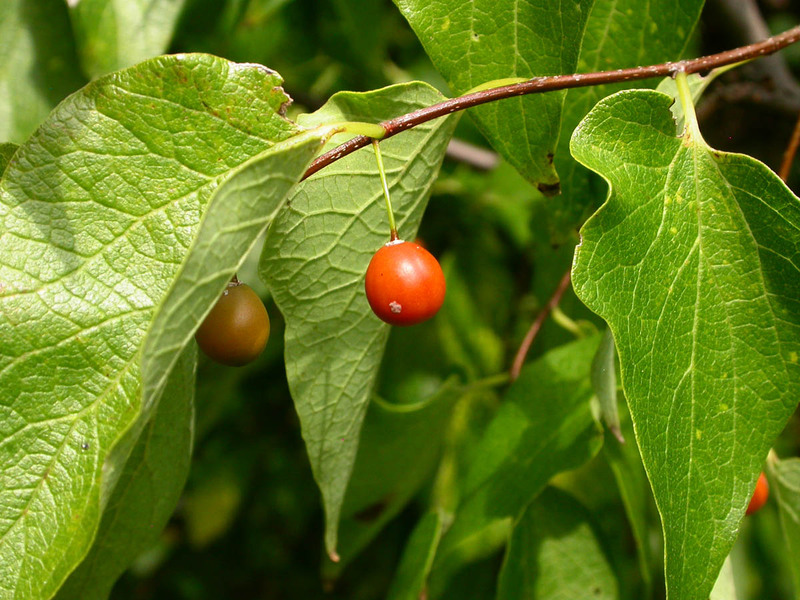 Sugarberry is easily confused with Common Hackberry, (C. occidentalis) where the range overlaps. Sugarberry has narrower leaves which are smoother above. The species can also be distinguished by habitat: where the ranges overlap, Common Hackberry occurs primarily in upland areas, whereas Sugarberry occurs mainly in bottomland areas. Sugarberry's range extends from the Eastern United States west to Texas and south to northeastern Mexico. It is also found on the island of Bermuda. Sugarberry mixed with hackberry supplies the lumber known as hackberry. Small amounts are used for dimension stock, veneer, and containers, but the main use of sugarberry wood is for furniture. The light-colored wood can be given a light- to medium-brown finish that in other woods must be achieved by bleaching. The wood is also used to produce sporting goods and plywood.